Rain, rain, go aw-..hang on! No need to dread sudden storms or overcast days that can't decide what they want to do. 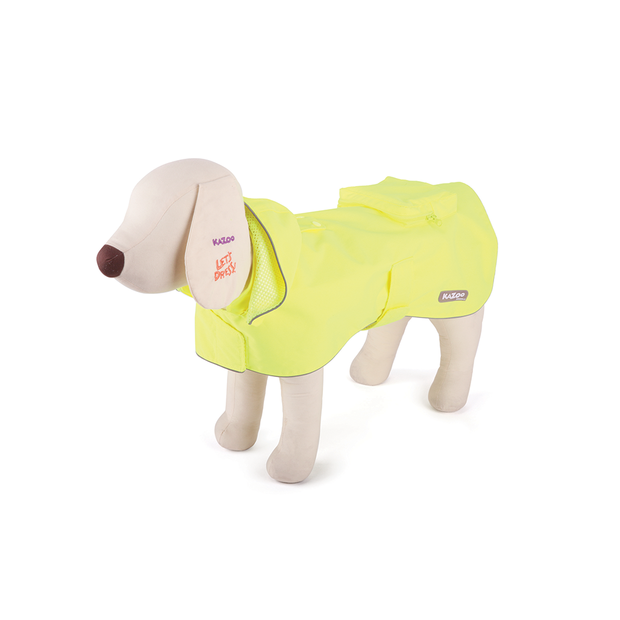 Get out and about with your bestfriend in their brand new Kazoo High Viz Rain Coat. Fully waterproof with a removable hood and a convenient foldaway pocket.